'Rafale B', French Air Force combat jets. NEW YORK, Jan 16 2018 (IPS) - When the United States abruptly cuts off military supplies to its allies for political or other reasons, the reaction has been predictable: it drive these countries into the arms of the Chinese, the Russians and Western European weapons suppliers. So, when the Trump administration decided recently to withhold about $2.0 billion in aid to Pakistan, the government in Islamabad was one step ahead: it had already built a vibrant military relationship with China and also turned to UK, France, Sweden, Turkey and Italy for its arms supplies. 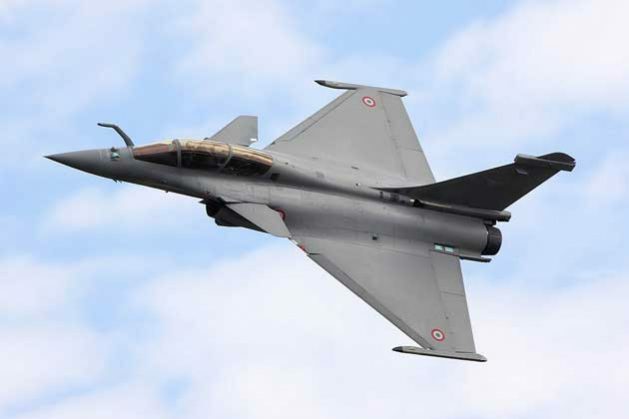 In the Middle East, some of the longstanding US allies, including Qatar, Saudi Arabia, Oman, Egypt and Kuwait, are known not to depend too heavily on American weapons systems—and their frontline fighter planes include not only F-15s and F-16s (US-supplied) but also Rafale and Mirage combat jets (France), the Typhoon (a UK/France/Italy joint venture) and Tornado and Jaguars (UK), all of them in multi-billion dollar arms deals. According to the Stockholm International Peace Research Institute’s (SIPRI) latest data for 2012-2016, the US accounted for about a third of the entire global market in major conventional weapons. SIPRI reports that Pakistan has received significant quantities of weapons from both the United States and China in recent years. Deliveries from China in the last several years reportedly include combat aircraft, tanks, submarines, and other naval vessels. US deliveries have included armored personnel carriers and systems to modernize US F-16s that were previously supplied to the Pakistani military. Derek Bisaccio, Middle East/ Africa & Eurasia Analyst at Forecast International Inc., a US-based defense research company, told IPS the two primary arms suppliers to Pakistan are the United States and China. American arms agreements with Pakistan, he said, have totaled between $5-6 billion since 2001; much of this stems from the sale of F-16 fighter planes. “Although Chinese arms sales to Pakistan are more difficult to put a dollar figure to– owing to a lack of transparency on both sides– it is expected that Chinese arms sales have eclipsed American arms sales on an annual basis in recent years as Pakistan and China have deepened their military-technical cooperation,” he noted. In the past decade, China has sold naval patrol vessels, submarines, unmanned aerial vehicles (UAVs), and surface-to-air missile (SAM) systems to Pakistan. The two have partnered on projects like the JF-17 fighter jet, assembled and manufactured locally by the Pakistanis. Other arms suppliers include Ukraine, with whom Pakistan has partnered on its fleet of battle tanks, and Turkey. Pakistan and Turkey have negotiated in the past few years over Pakistan’s possible purchase of attack helicopters and corvettes. Pakistan has purchased airborne early warning & control aircraft from Sweden and may well acquire more in the coming years, Bisaccio said. In the past, Pakistan has contracted the United Kingdom, France and Italy for some of its purchases; many naval vessels and aircraft operated by Pakistan are French-origin, he added. According to a report in the Washington Times last week, China is planning to build a military base in Pakistan, which would be its second overseas military base, after Djibouti in the Horn of Africa. The naval installation will be erected in a key strategic location: the Pakistani town of Jiwani, a port near the Iranian border on the Gulf of Oman and near the Straits of Hormuz, which resides at one of the six proposed economic corridors of the One Belt One Road Initiative, commonly called the Silk Road Economic Belt, the Times said. However, that decision was not justified on human rights grounds, she noted. Instead, the administration argues that the Pakistani government is not doing enough to combat terrorism. “This argument that Pakistan is harboring terrorists is not new. The US-Pakistani relationship frequently features policy cycles that include critical statements by US officials, attempts to reduce or halt aid, and an eventual return to the status quo,” said Goldring, who also represents the Acronym Institute for Disarmament Diplomacy at the United Nations, on conventional weapons and arms trade issues. She also pointed out that advocates of arms sales often argue that countries can find other suppliers if the US government refuses a sale. But Islamabad may still retaliate by closing down US supply routes to Afghanistan which goes through Pakistan. Currently, there are over 14,000 US troops in Afghanistan. Bisaccio of Forecast International Inc told IPS that due to decades of partnership, the Pakistani military has a large amount of U.S.-supplied equipment, either provided directly from the U.S. or a third party, in its force structures, either in active use or in storage. Much of the Army’s aviation wing is composed of Western-supplied aircraft, with a lot of American systems. Asked if the Pakistani military can survive if the US suspends military aid– and halts maintenance, servicing and spares to US-made equipment—Bisaccio said it can certainly survive, but in some areas of the military such moves to end cooperation would be painful. He said the suspension of maintenance, servicing, and the provision of spare parts– should the U.S. decide to enact such a move– would be particularly problematic for the Pakistani F-16 fleet. Pakistan has already encountered difficulty acquiring new F-16s, as the U.S. Congress blocked Pakistan from using foreign military financing to purchase eight jets in 2016. Inability to acquire maintenance or armaments would impact fleet readiness, especially over time as the F-16s face attrition. Posturing against rival India would suffer as a result, he added. Moreover, the ability of the Army to carry out counter-insurgency operations could be impacted should Pakistan not be able to obtain servicing for the Army’s aviation assets, especially the AH-1 attack helicopters. “Pakistan, in recognition that reliance on one supplier could create vulnerability, has over the years diversified its supplier base and worked to build up its own defense industry, which does have the effect of lessening its military dependence on the U.S,” Bisaccio pointed out. The dispute with President Trump, he pointed out, is a symptom of the longer-running tension between the U.S. and Pakistan, but, in Pakistan’s view, the latest row with the Trump administration provides further validation for this policy. In an interview with the Financial Times in September 2017, Prime Minister Shahid Khaqan Abbasi reiterated that his country would like to purchase F-16s from the U.S., but could seek alternatives from France or China if need be. Pakistan’s missile deterrent against India is a key element of the country’s national security and Pakistan was able to develop its missile program without American assistance. The volume of security assistance provided to Pakistan from China is unknown but is likely to increase moving forward, offsetting to some extent the temporary or permanent loss of American assistance, he added.